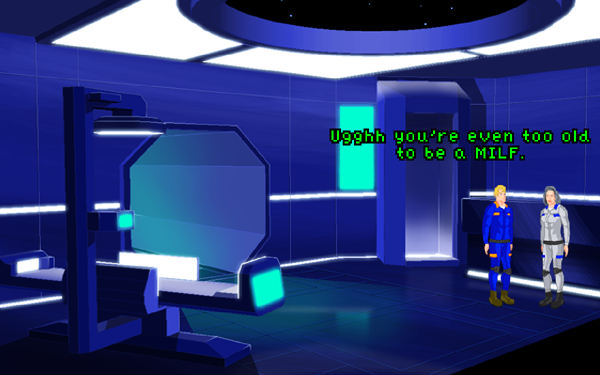 Here's this week's #screenshotsaturday contribution, Carter insulting Dr. Chantal. All NPCs of Epoch have moods, you can simply manipulate the NPCs by being good or bad towards them. Some puzzles and events require having NPCs upset while other puzzles are solved with the help of 'not' upset NPCs. Each puzzle has an alternative solution so you don't have to be a prick all the time to solve puzzles (but if you want to then be my guest! ), on the other hand you don't need to be an angel too.